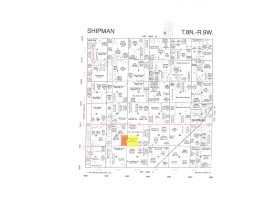 249 Acre Shipman Township Auction | Aumann Auctions, Inc.
Great Farm in a great location near Shipman, IL. 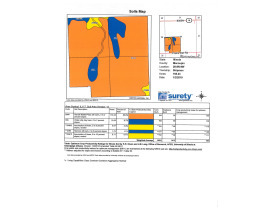 Rare to find nearly 250 contiguous acres in this area. Great Soils! Will be sold in 2 Tracts only. 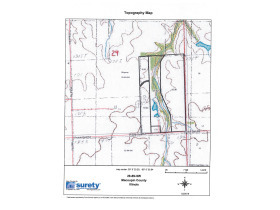 Tract #2 95+/- Acres Located in the East ½ of SW ¼ and 15 Acres of even width off the East side of the W ½ of SE ¼ Section 29 T8N R9W Macoupin County. 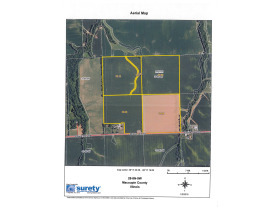 There are 64.79 acres or 68.2% Tillable. 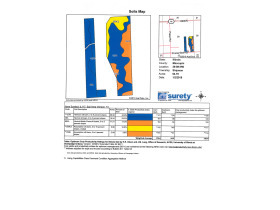 The predominate soil types include: 127B Harrison Silt Loam 2-5% Slope and 46A Herrick Silt Loam 0-2% Slope. The 2016 Real Estate taxes were: $1,349.98. 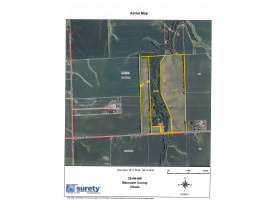 The non-tillable land is an area of timber running thru the middle of the farmland with a small pond. This would be a good building site. 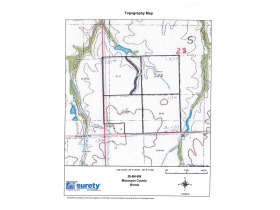 This tract is located just west of Tract #1.Earnest Money $30,000. •	UPON CONCLUSION OF THE AUCTION: The Winning Bidder will be required to fully and correctly complete and properly sign the Real Estate contract without any modifications and pay the specified non-refundable earnest money deposit as stated in the property description.  This non-refundable earnest money deposit will be held in escrow until closing and that amount will then be credited to the Buyer as part of the purchase price of the property. Successful bidder not executing the contract providing the earnest money deposit after the auction will be considered in default. Such default by the Successful Bidder will result in that Bidder’s liability to both the Seller and Aumann Auctions, Inc. Seller shall have the right to (a) declare this contractual agreement cancelled and recover full damage for its breach, (b) to elect to affirm this contractual agreement and enforce its specific performance or (c) Seller can resell the property either publicly or privately with Aumann Auctions, Inc. and in such an event, the Buyer shall be liable for payment of any deficiency realized from the second sale plus all costs, including, but not limited to the holding costs of the property, the expenses of both sales, legal and incidental damages of both the Seller and Aumann Auctions, Inc. In addition, Aumann Auctions, Inc. also reserves the right to recover any damages separately from the breach of the Buyer.